Bitcoin is a voluntary digital currency that can be transferred peer-to-peer over the Internet. The open-source cryptographic program secures the electronic transactions without the need for a third party, like a bank or PayPal. There are no transfer fees or centralized clearing house needed for peers to trade Bits. 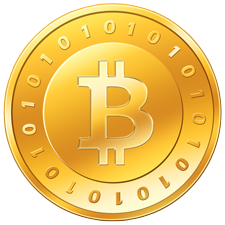 Bitcoins are held in a wallet that carries an anonymous address in the system. Nobody is really sure who Bitcoin creator Satoshi Nakamoto is. The name is a pseudonym, and we know that he is from Japan, started work on Bitcoin in 2007 and passed on the reins of the project and stepped down from any involvement in 2010. Beyond that, the details are scant. He works hard to cover up his real identity: he has used two known email addresses, one from anonymous mail service Vistomail and another from a free webmail provider. Reportedly, he only used these when connected to anonymity network Tor. Nakamoto included information in the Genesis Block that pointed to The Times article “Chancellor Alistair Darling on brink of second bailout for banks” as a clue to his motivations for creating Bitcoin. “Governments are good at cutting off the heads of a centrally controlled networks like Napster, but pure P2P networks like Gnutella and Tor seem to be holding their own,” he once said in a cryptography mailing list post. That’s perhaps more telling of his thoughts on economics and politics than anything else. Understandably, many readers of this will be leery of a ‘cashless; currency due to the stigma attached to the idea by the global banking cartel’s stated agenda of creating a “cashless society” allowing for total economic dominance. However, the Bitcoin is the antithesis of centralized control. The nature of the peer-to-peer digital transfers of bits is uncontrollable, as we’ve seen with BitTorrents. “It is unlikely any major retailers will sign on to accept Bitcoins because they are deeply entrenched in the establishment economy and are likely saddled with debt to the banking cartel. The Bitcoin economy is more a grassroots opportunity for small businesses and individuals to sell used or self-produced products or services. Look for Ebay or Amazon knock-offs to pop up and allow individuals to sell items. Look for online casinos to spring up for Bitcoin players. Look for local organic cooperatives to implement them. Anything that a consumer desires that can be facilitated online can conceivably be done with an anonymous Bitcoin transaction in this emerging peer-to-peer barter market. Now, their role will seem to be diminished should the Bitcoin economy take off. Bitcoin seems like the ideal online currency to support if one wishes for freedom and anonymity, or to protest the centralized power of the banking cartel and their revenue-starved client nation-clients.